* Designed specifically for bass players! * Phat-Tone was designed to provide bass players the feel and tone your fingers produce. * It is a dual durometer (hardness) guitar pick having a soft outer rubber with a ridged inner core. * The rubber replicates your skin, while the ridged inner core provides a fast response and punchy tone. 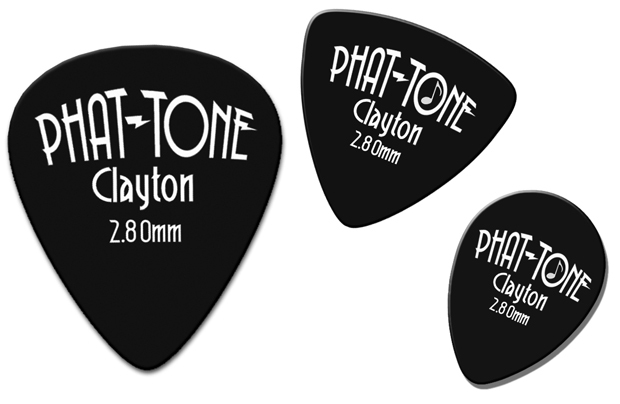 * We provide Phat-Tone in 3 shapes – Rounded Triangle, Standard and Small Teardrop. * Although Small Teardrop is too small for use with a Bass, it works great for Ukulele playing.